Gentlemen - been modeling for 63 years. ( yep just turned 70) Have worked with plastic/wood/metal/mixed media and resin. We have our times of solving problems - and we always succeed. 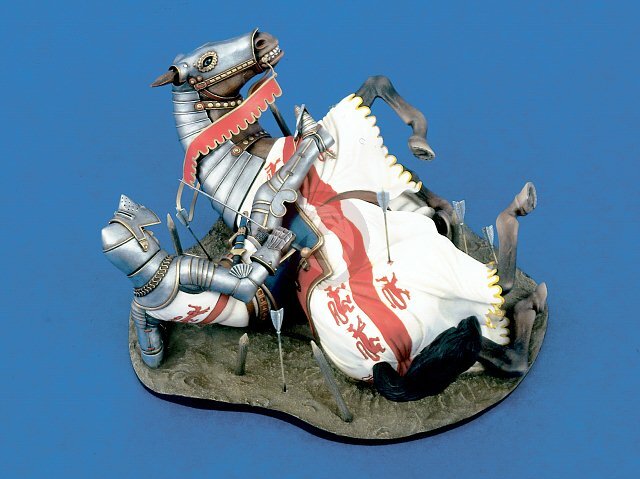 But I confess this Verlinden Downed Knight kit has me stumped. 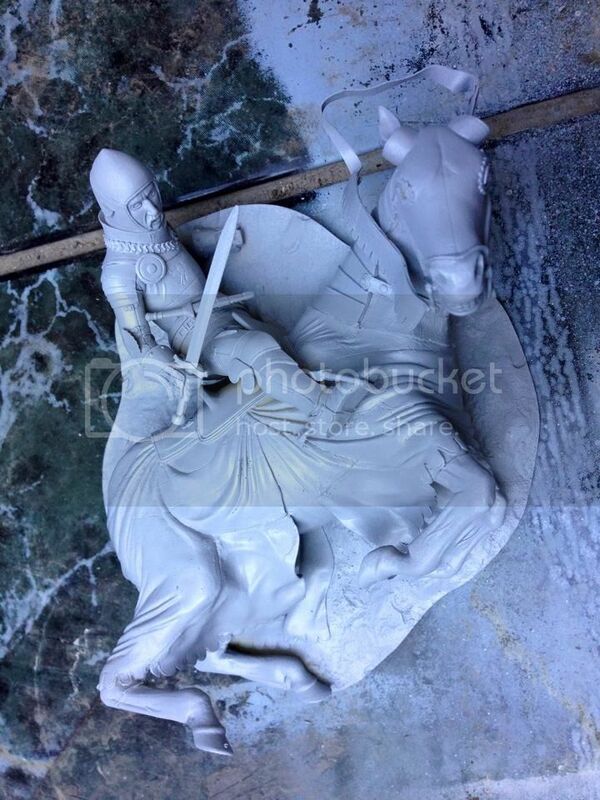 I cannot for the life of me figure how the remaining resin pieces form the horse's cloak/cloth. ( wish could include picture but am not able to..or allowed?) Anyway - if anyone out there has build this puzzle I AM ALL EARS and EYES..( and bloody fingers sometimes with these kits) Please send me ideas/suggestions - better yet.. PICTURES...any help would be greatly graciously welcomed. Thank you. I'm assuming this is the model you are referring to? Verlinden has some amazing models, ever since I was a kid I've always loved his stuff. Feel free to show pics of the pieces you are having trouble with and maybe can help figure out how it's supposed to assemble. HEY - Thanks ! very much !! The picture did it for me..and the link to that site ...excellent! ( and shave away more excess on the resin mould. so..ok..now am headed in the right direction. Thanks again.